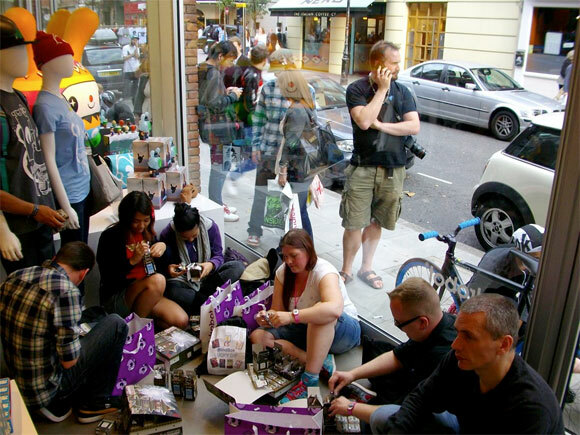 Huck may have been a world away last night but Kidrobot London was feeling the Dunny fever for the release of Gold Life. Eager collectors queued up to score the new 3-inch hyper series and Black Kabuki & Kitsune 2-pack. Case by case fans traded throughout the evening. High five to all that came through.